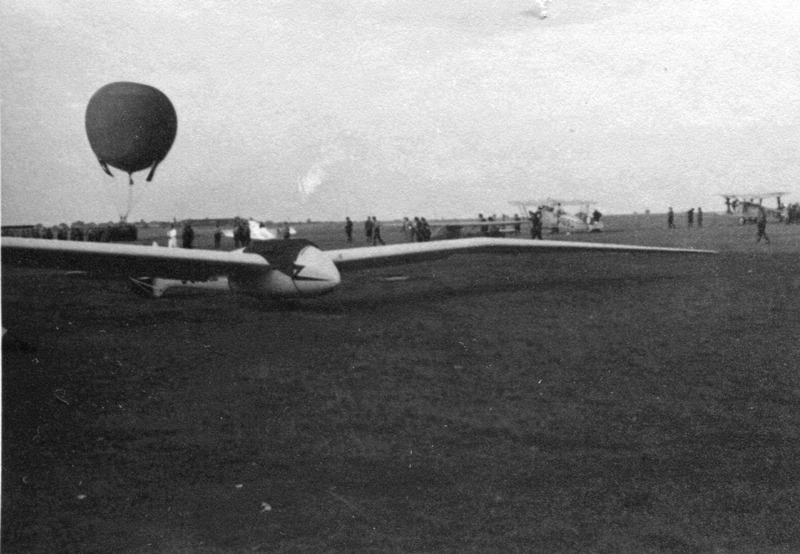 There is little documentary information available for this unique glider from 1933. My interest was awakened after browsing through a back issue of the Vintage Glider Club magazine, within which the Late President, Chris Wills, was trying to find out more information on this glider, but was unsuccesful. Since then I have manage to find several photos of what could be a lovely scale project. If you can help with additional information, I would appreciate your input. 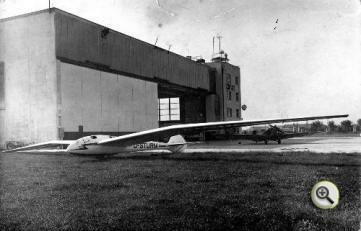 One year after the crash was reported of August Kuppers (he was from Munich; later in 1932 to 1935 he work at Weimar, but mostly Gotha ) huge Ku-4 Austria with 30 m span, the magazine “Flugsportn” reported in 1933 in words and pictures, a new two-seater with almost similar dimensions from the city of Goethe. 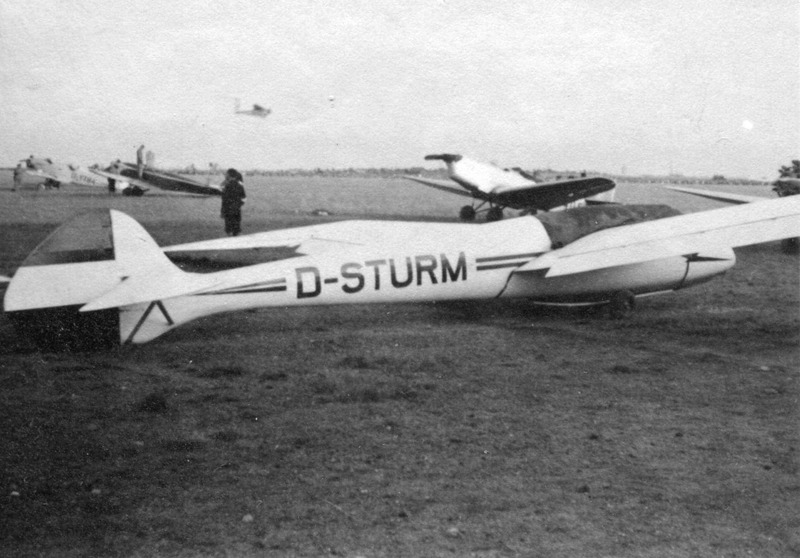 The D-STURM had a remarkable span for the time of 25 m. The design was by Bernhard Braeutigam and he built the glider at Braeutigam Flugzeugbau GmbH at Weimar. From an aerodynamic point of view, the aircraft made a sensational impression. Everything had been taken to avoid damaging any conceivable opposition. The mid-wing monoplane with its aerodynamically advantageous gull wing with swept wing leading edge used an aerodynamically favourable fuselage-wing transition application, which was not yet widely used in these days. Equally well, the elongated, slender fuselage was designed with a consistently elliptical cross section. 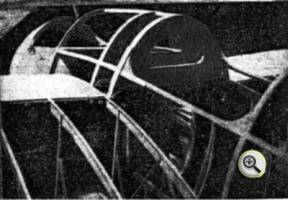 The first version of the cockpit cover was made with large lateral viewing holes which did not protrude out from the contour of the narrow fuselage. Later, the front seat used, instead of this cover, a windshield, which gave a better vision , and one of the last pictures shows the two-seater with a side-hinged canopy for the front seat, while the view for the second pilot, the focus was the aircraft, must have been quite modest in any case. The basic profile of the wing at that time was the speedy Gö 535, which transitioned to a symmetrical section at the wing tip to improve the slow flight characteristics. From a description in the magazine “Flugsport” is the first to have been resolved at the root rib wing spar runs into two parallel spars. Studying the flaps and ailerons seems to show that the wing was constructed using two main spars, as an auxiliary beam is visible for the attachment of the flaps and ailerons. The ailerons had a consistent depth, were driven at two points and maintained their effectiveness down to the exceptionally low speed of 17 km / hr. Despite the contrary view in FLUGSPORT the two-seater apparently had no Airbrakes – at least they are not recognisable on any of the images. As a landing aid alone the flaps were used in the appropriate landing setting. The elevator consisted of a braced pendulum elevator, which was a novelty. The cockpit was equipped with a full blind flying equipment. 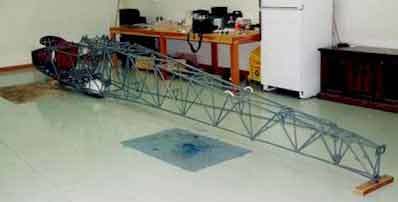 The chassis with two low-pressure tires was releasable and the glider was landed on a skid. 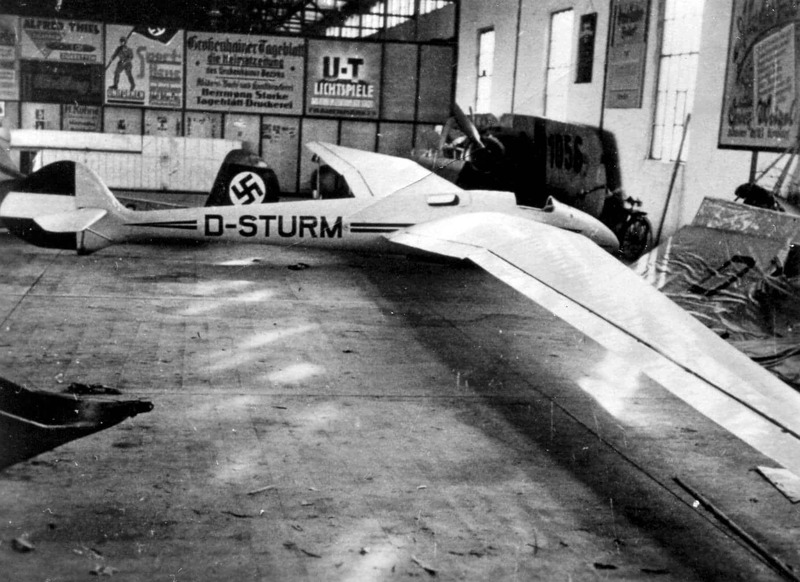 The magazine Flugsport reported, the enormous span of 25 m with 31 m wing area named and the length of the two-seater was 9.0 m. With the empty weight of 380 kg D-STURM exceeded the weight of almost all contemporary designs, except the 392 kg of the crashed Ku 4 Austria and the 390 kg of the three-seat OBS, the flying observatory of DFS. With two crew members, it attained the Weimar construction flight mass of 560 kg. Due to the large wingspan, the resultant wing area gave a wing loading of 18 kg / m within the normal range for that time. 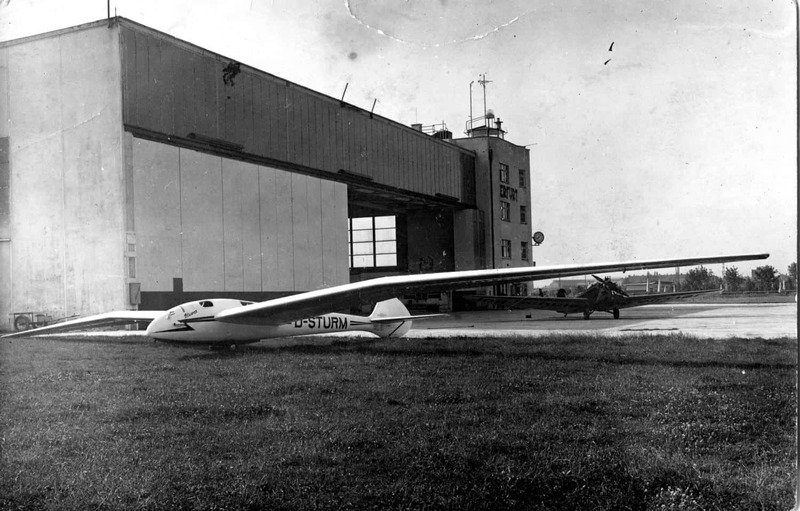 Both were enormously high, the load factor of 11.2 gave a maximum speed of 250 km / h and a minimum sink 0.6 m / s .
D-STURM in front of Hangar on Erfurt-Nord airport. The picture shows the two-seater cockpit with the cockpit cover within the fuselage contour, and the linkage of the pendulum elevator. 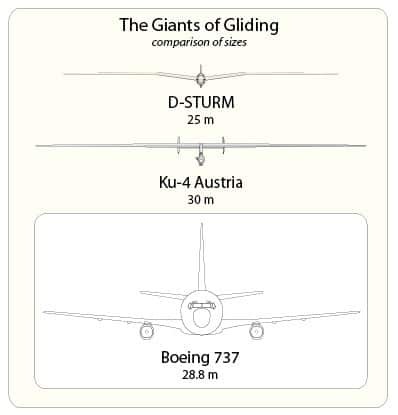 The exceptionally strong built and therefore very heavy glider was evidently designed for cloud flights and even for thunderstorms flights. With this design philosophy, Bernhard was to groom the future direction of development in glider for several years ahead. However, a fair question to ask is , who liked to move such a heavy aircraft on the ground in those times? Surely the airplane can only be towed by car or winch . 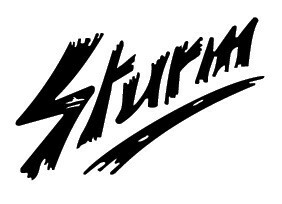 D-STURM had its’ maiden flight on the 13th to 16th July 1933 at the Erfurt-Nord airfield, as the airfield at Weimar, was too small and inconvenient and the airfield was Weimar-Nohra could only be used for training flights. On the 18th July 1933 the two-seater aircraft was towed behind a Klemm-Argus to be initially transferred from Erfurt to Leipzig-Schkeuditz and, later at night, on to Dresden. There the DLV-Landesgruppe Sachsen , who had bought the plane, received the aircraft. Before the ferry flight a rare incident happened to the tow-pilot Hermann Steckhan. At 10.45 on the 18th July the Klemm L26a with its Siemens Sh 13a engine started on a test flight when the plane lost the propeller shortly after takeoff at a height of 30 meters . Steckhan was lucky and was able to land smoothly in a rye field at the edge of the airfield. The investigation revealed a fatigue crack in the shaft between the propeller mount and the front bearing as the cause of the incident. Because even then, such incidents had to be investigated with the appropriate vigour, Steckhan the propeller and the broken part had to go for further investigation at testing centre for aircraft in Adlershof. Apparently unfazed by the loss of the propeller, Steckhan started the tow flight the same evening. 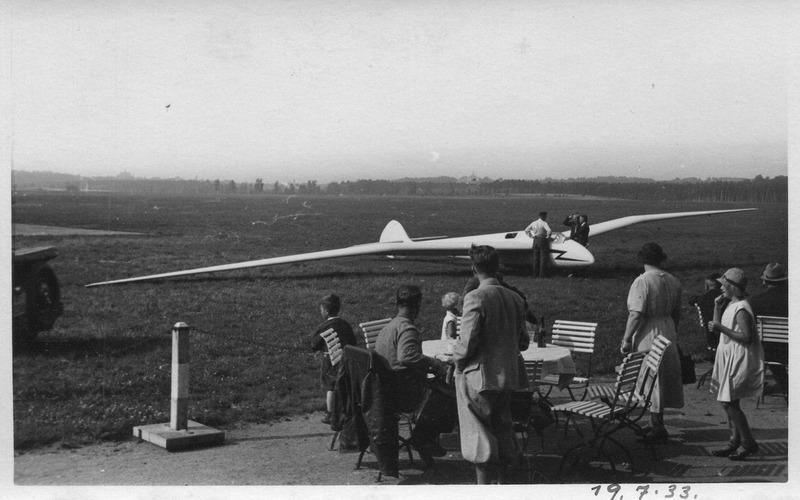 Shortly after the transfer, Otto Braeutigam, in these days a trainer at Großrückerswalde gliding centre and brother of the designer, made a 220 km route of flight from Großenhain to Altmark. This is the only known route flight of this super-orchid. 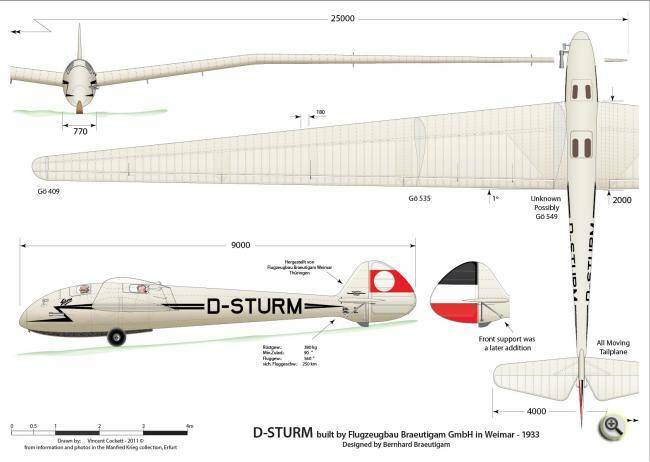 In that year, the D-STURM appeared on the entry list for the 14th Rhön competition with Otto Braeutigam as a pilot. In contrast to the above mentioned data, the wingspan of the aircraft however was just 22 m with 27 m² wing area. Apparently, the flight tests had shown a lack of manoeuvrability of the aircraft around the vertical axis and subsequently the span was reduced by 3 meters. At the same time the plane was reported with a lengthened fuselage stated by 0.5 m, which suggests that the rudder was extended for better manoeuvrability around the vertical axis. At the 14th Rhön of 1933 the D-STURM was not represented and traces of this interesting construction was lost. 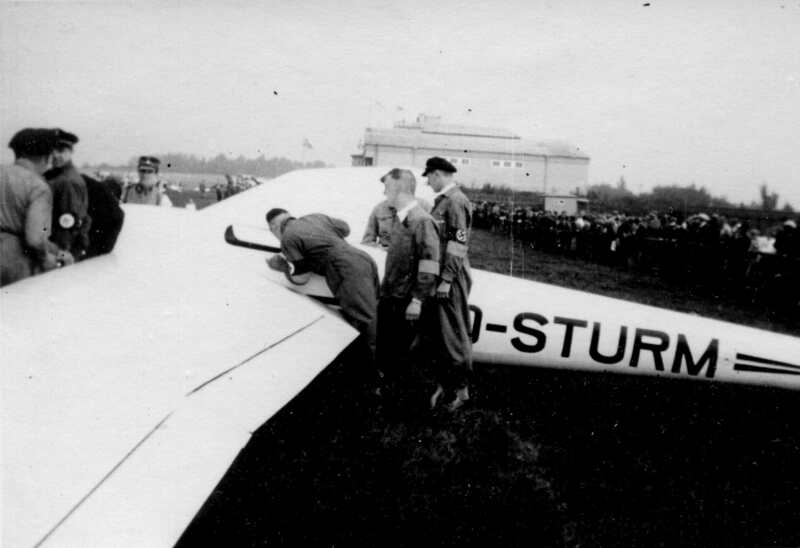 The head of the flying school in Großrückerswalde reported with D-STURM for the Rhön competition in 1933, but failed to compete. 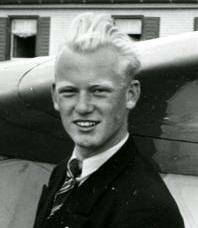 A year later he flew with the DB 10 (Akaflieg Dresden-type 10), after the dissolution of Akaflieg Dresden he changed to the Country Flying Group 7 of the DLV and flew at the 15th Rhön competition where he was twelfth position. One year later on 29th July 1935, at the 16th Rhön, he was one of four pilots who flew from the Wasserkuppe Brno and made with 504km, a great FAI world record.. This contest finished with Braeutigam in seventh place. Even in subsequent years, he was always there and found almost always in the lead: At the 17th Rhon 1936 he flew the D-Rudolf Rhönsperber Oeltzschner (in memory of the pilot who crashed on tow in the 504-km-world record flight) and won the 20th Place. At the 18th Rhön 1937 he gained second place in a Kranich in the tandem class. At the 19th Rhön 1938 he flew Weihe and finished fourth. The 20th and last Rhön in 1939, he finished with a 5th Place in Condor III. A year later, on 28th May 1941, he died in a test-flight of the then largest non-motorised aircraft in the world, the giant Messerschmitt Me 321 glider.